Are you capitalizing on native advertising? Each month, 610 new advertisers place native ads. MediaRadar's CEO Todd Krizelman and TripleLift Co-founder Ari Lewine demonstrate how native can elevate your business, maximize ad sales and even who to pitch. You don't want to miss this! Compare the best metrics for native--is CPM a best practice? Register today for this FREE webinar--space is limited. We look forward to seeing you! MediaRadar is the most sought-after multimedia ad sales intelligence tool. It enables ad sales teams to uncover new prospects, create custom pitches and receive detailed competitive analysis and TripleLift is a top native programmatic platform with RTB capabilities for buying and selling native advertising. Todd Krizelman: Growing up in Palo Alto, Todd Krizelman was born and raised near the epicenter of technology innovation. Krizelman joined veteran web architect Jesse Keller to found MediaRadar in 2007. After years of thorough research, development and data collection, MediaRadar is now the most comprehensive data company focused on the ad sales market. He previously co-founded one of the world’s first social media sites, theGlobe.com and led the site from inception to taking it public on NASDAQ. 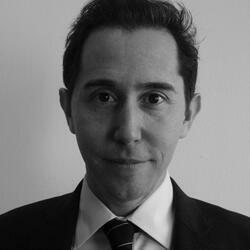 Krizelman is a graduate of Cornell University and Harvard Business School. Ari Lewine: Co-Founder of TripleLift, Inc., Ari Lewine serves as its Chief Strategy Officer. Lewine leads the TripleLift's direction on sales, strategy, and product innovation. 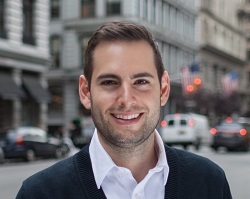 Most recently, he served as head of the performance sales team at AppNexus. He started his entrepreneurial endeavors at 17 when he purchased University Trucking. He holds a BSBA in Finance and Entrepreneurship from the Olin Business School at Washington University in St. Louis.